Still not sorted for Christmas gifts? Don’t worry, I’m feeling ya! The good news is, we’ve still got plenty of time (six weeks, give or take), to sort our Christmas shopping out and ensure the kiddies get a great collection of cool stuff this year. To make the whole ‘Christmas shopping’ process a little easier, we’ve selected 10 of the best Christmas gift ideas for kids, all hand-picked by our Mum Central team. Want to hear the best part? NONE of the Christmas toys or games on our list require batteries. Or make weird noises (except for the high-tech Laser X Blasters!). AND… you can pick them all up from the same place – Gift Playground. Actually, you don’t even have to pick them up. Simply order online and have the gifts delivered to your door. How easy is that? Gift Playground stocks a whole heap of must-have toys, games and activity kits that are not only entertaining but also educational, making gift giving so much easier. You don’t have to deal with the mad Christmas rush, the crazy parking lots and the self-serve counters that tell you to “remove your item from the bagging area” (THERE IS NO ITEM IN MY BAGGING AREA!). It’s how shopping for kids should be – simple, straightforward and completely stress-free. Whether you’re shopping for your own tribe or for a great gift idea for a niece, nephew or some other lucky kid, these 10 Christmas gifts are bound to bring out the smiles. And none of them will set you back more than $50! In fact, many of them cost much, much less! Because it’s Christmas and we’re in the spirit of giving, we have another surprise in store – ALL of these featured products are up for grabs in our Gift Playground Giant Christmas Stocking Giveaway. We’ve got one major prize pack, valued at $507 plus 10 smaller $49.95 Playground Gift Hampers up for grabs. Keep scrolling to find out more and enter. So, without further ado, we give you our guide to the best Christmas gifts for kids. I don’t know about you, but my kids LOVE magic jars! This crafty gift idea is perfect for the glitter loving girls and boys in your life and makes for a fun way to spend an afternoon. The So Glow Magic Jar Studio ($30) comes with magic jars, collectable surprises, glitter, confetti and a colour change LED light. You can also get single packs for $7.50 and a 3-pack for $17.50. 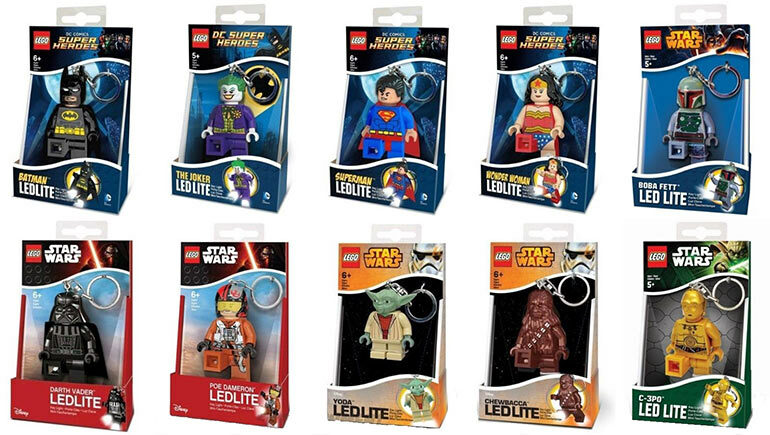 A great gift for LEGO fans, these cute LED key chain lights come with a mini figure and an LED light. They’re perfect for whacking on the school bag or sports bag to help your kid identify which is theirs. There’s heaps to choose from too – Superheroes, Star Wars and the Batman Movie. Each one is just $15. 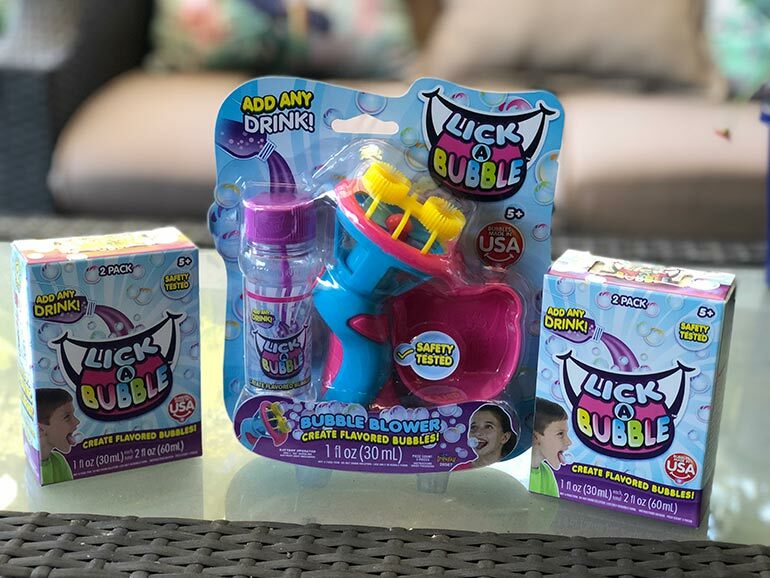 We shared our love for Lick-A-Bubble last month, a gift that gives your kids the chance to make their own edible bubbles (yes, they can eat them!). These make great stocker stuffers for kiddies aged three+. You can pick up a blower for $12.50 and a two pack of bubble mix for $7.50. 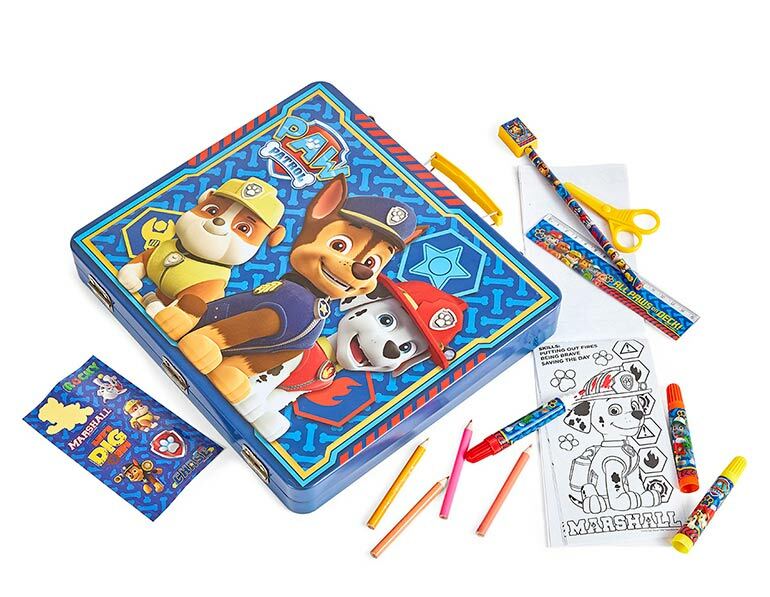 For budding artists and Paw Patrol fans, this adorable Paw Patrol Tin Art Set ($20) is the ideal gift for under the tree. It comes with 50+ arts and crafts pieces, including stickers, markers, pencils, gel pens, scissors and notebooks, in two easy to carry lockable stationery tins. Not sure what to buy the kid who has everything? You really can’t go wrong with slime! It’s slippery, it’s gooey and it’s oozing with hours of fun, especially when they can make it themselves! 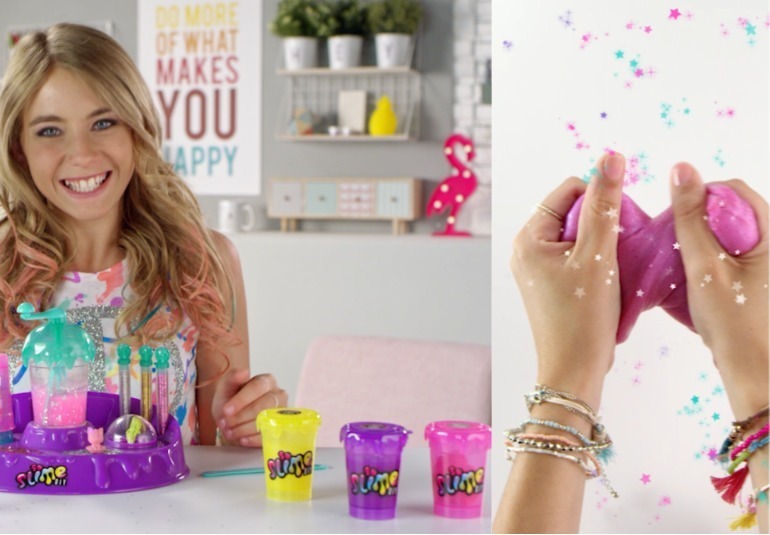 Grab a So Slime DIY Factory and kids can mix the slime powder to make their own gooey goodness. 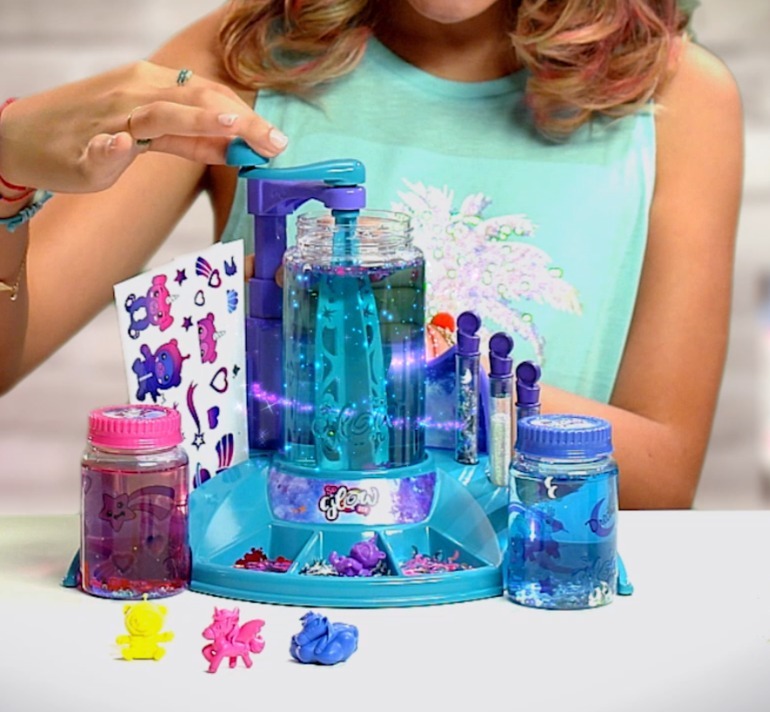 The Factory set ($30) comes with gooey slime, water, glitter, decorations and shakers. You can also pick up single packs ($7.50) and 3 packs ($17.50). Available in two colour choices. Another great stocking stuffer, give them something that is bound to bring on the laughs and gross out the whole gang. 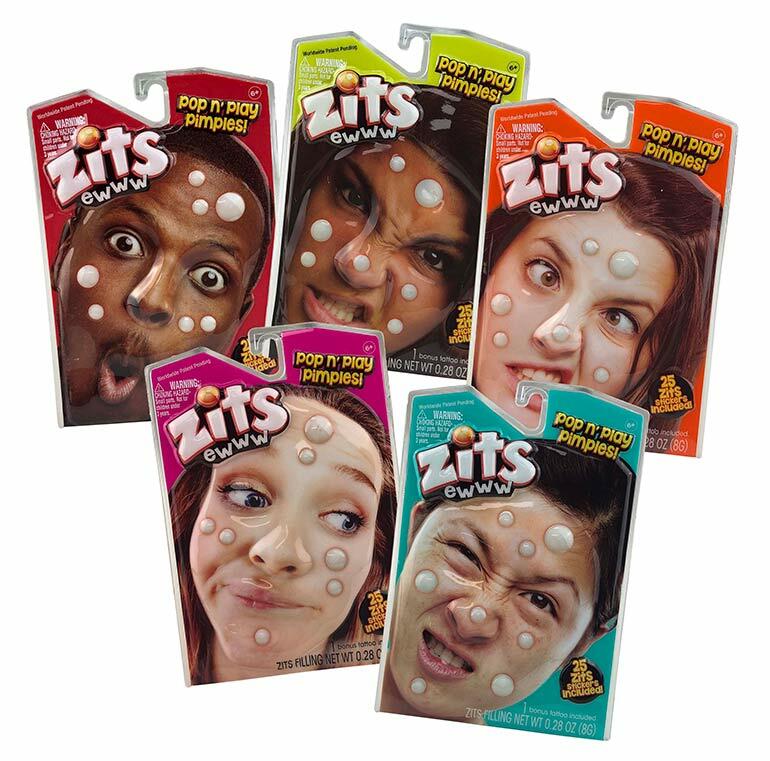 These packs of Pop n’ Play pimples let kids press and squeeze to their delight, all for just $5 for a pack of 25. Happy popping! Combine their love of geology with their love of all things shiny and sparkly with this charming set. 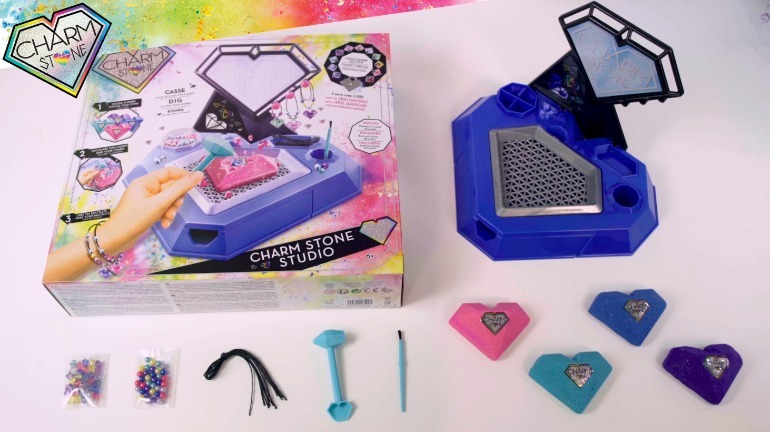 Your budding bracelet maker can craft her own charm bracelet but first she needs to chip away at the hidden stone to find her charm! For little ones who love a surprise, this set is sure to charm them for hours! You can get the whole Charm Stone Studio for $30 but there are also single sets ($7.50) and 3 packs ($17.50). Bring the fun of laser tag into the house with Laser X, the most affordable way to play laser tag over and over (and over) again. And without the need to go to a laser tag arena. 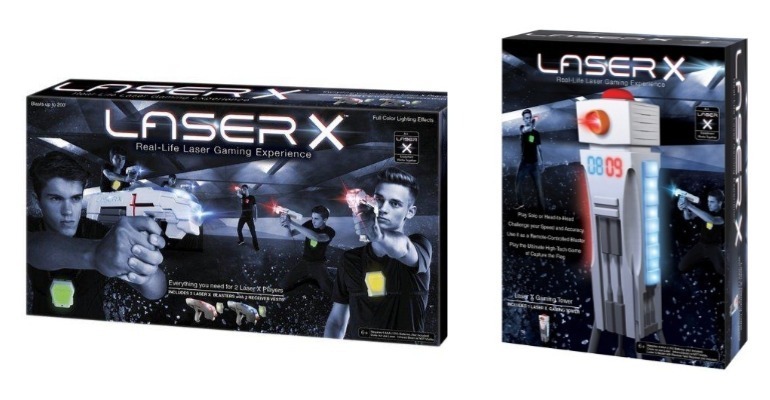 Laser X is suitable for indoor and outdoor use and the Laser X Double Pack ($49.95) comes with everything you need for two players to play. You can add more people to the game with additional packs and also pick up a Gaming Tower for $49.95. 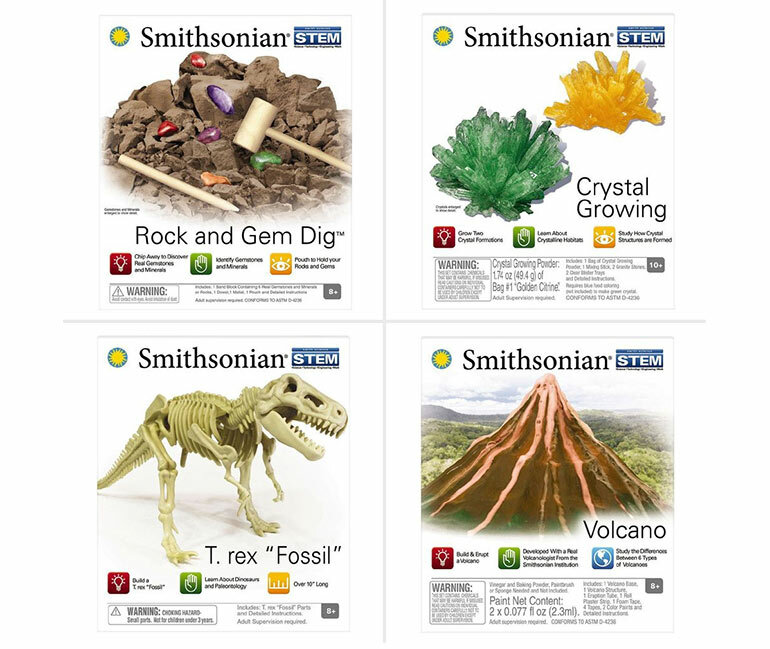 For all budding scientists, these Smithsonian Micro Science Kits are sure to be a big hit! There’s heaps to choose from including Crystal Growing, Rock & Gem Dig, T-Rex Fossil and Mini Volcano, $15 each. Bring a little bit of luxury to the bath time regime with a So Bomb bath bomb kit ($30). 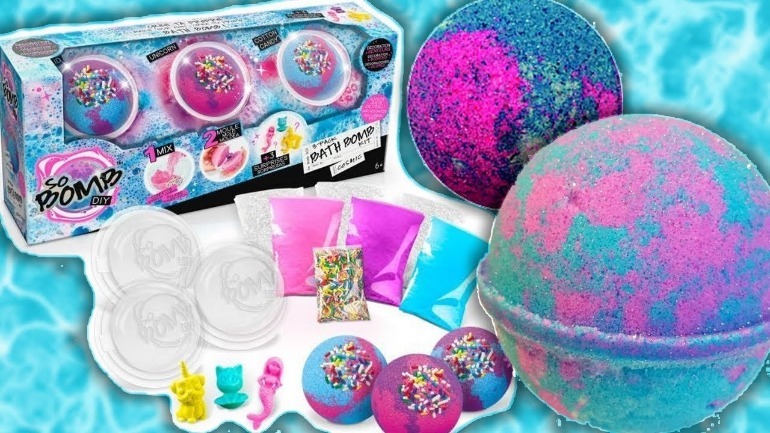 The pack allows you to make your own bath bombs by mixing coloured scented powder and decorations. Each pack comes with everything kids need for fizzy fun, including the powder, decorations, surprise figurine and instruction sheet. For a smaller gift idea, you can pop a single pack ($7.50) or a 3 pack ($17.50) into their stocking. 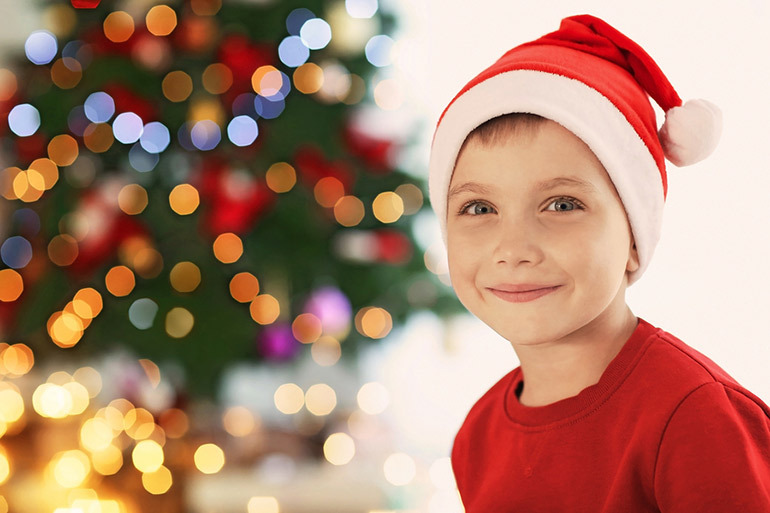 So there you have it – 10 great Christmas gift ideas for kids, all sure to keep them busy throughout the school holidays. Whether popping pimples, eating bubbles, digging for gems or making their own slime, kids are sure to have a blast with these fun finds. Have a browse through Gift Playground and check out their extensive range of great gifts for kids of all ages. 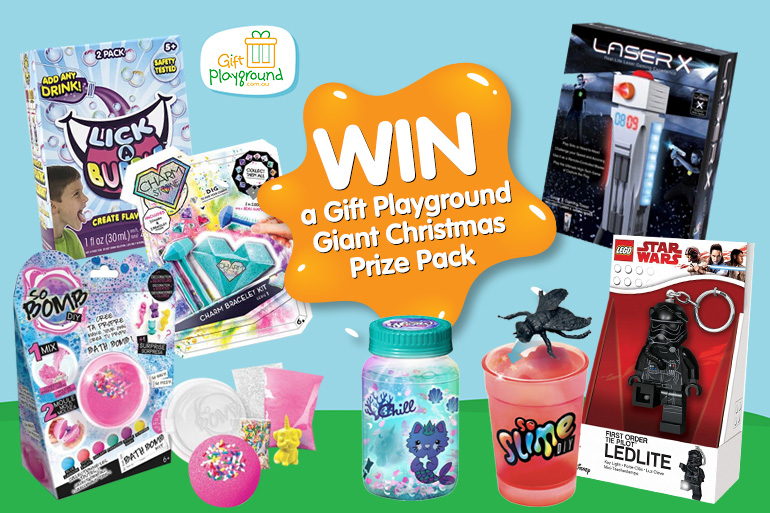 Win Gift Playground’s Giant Christmas Stocking (or 1 of 10 Playground Gift Hampers). ‘Tis the season to load up on Christmas gifts. 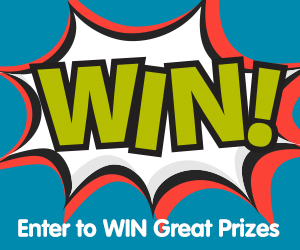 Thanks to Gift Playground you could be one of our lucky winners who wins ALL the loot! Enter to win by filling out the form below and be sure to LIKE Gift Australia on Facebook. Thank you for this chance to win. Awesome giveaway. 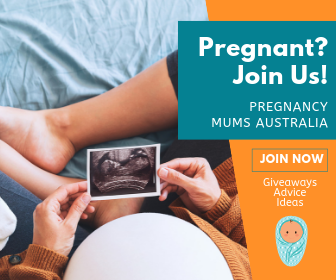 A wonderful giveaway; thanks Mum Central and good luck to all. Wow, best selection of Christmas ideas I have seen for kids and cousins!! Looking forward to Christmas as the grandies and I can have such fun with all those wonderful toys. Wow, what an awesome compilation of fantastic toys for kids! I must admit that I’d be happy for an excuse to try some of these beauties myself.